The BOSS is a CNC router that provides the professional cabinet maker with a combination of excellent cutting precision together with speed. Each BOSS CNC machine comes standard with RouterCAD cabinet making software, top-of-the-line router software designed specifically with professional cabinet shops in mind. With BOSS hardware and RouterCAD CNC software, The BOSS will transform any cabinet maker’s shop into a true 21st century operation. As for size, The BOSS weighs in at 2220 pounds. 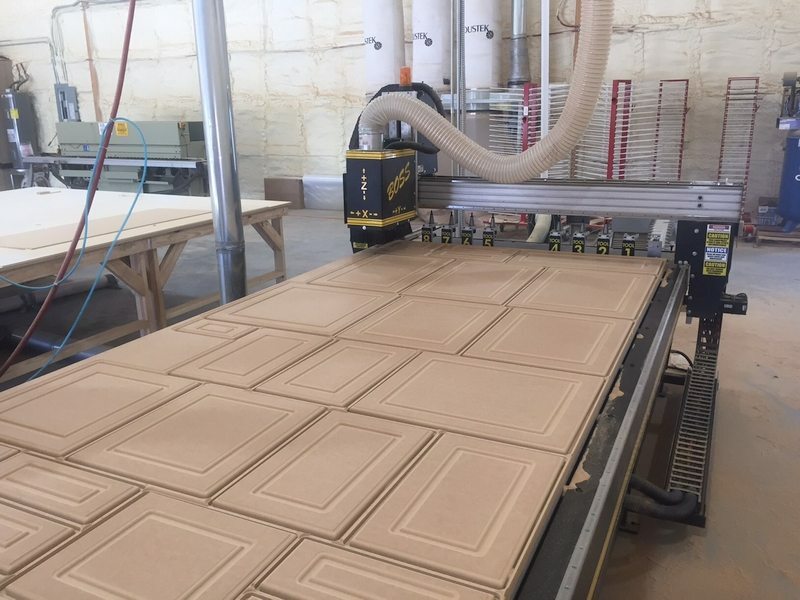 This robust CNC router has a cutting size of 60” x 96”, while its footprint is 67” W x 114” L. As previously mentioned, rapid traverse speeds meet or exceed 1500 IPM. Positioning speeds are 800 IPM for the X axis, 800 IPM for the Y axis, and 500 IPM for the Z axis. Its cutting accuracy is very impressive at plus or minus 0.003”. BOSS Control stand, computer Assembly set up and tested on your machine (19” flat screen, computer, laser mouse & keyboard included for the machine),crating/packing of equipment and ALL TOOLING. Four days of onsite training and shipping. Basically everything you need to get started except for the hose to hook up the machine to the dust collection. Basically, we have taken all the worry out of purchasing a router. We include everything – the router, the software you will need, all the tooling, 4 days onsite to train you on the machine and the software and set up the standards for the way you build. We also include all the bits. All you have to do is have a fork lift w/extenders to unload the router when it arrives and pull power to it. Once that is done, we will come in and level your machine, bolt it to the floor and start cutting parts. We will have you cutting parts the first afternoon. Request more information about BOSS CNC routers. How soon do you need a solution?